The Finger Lakes region has some of the richest soil in the northeast. 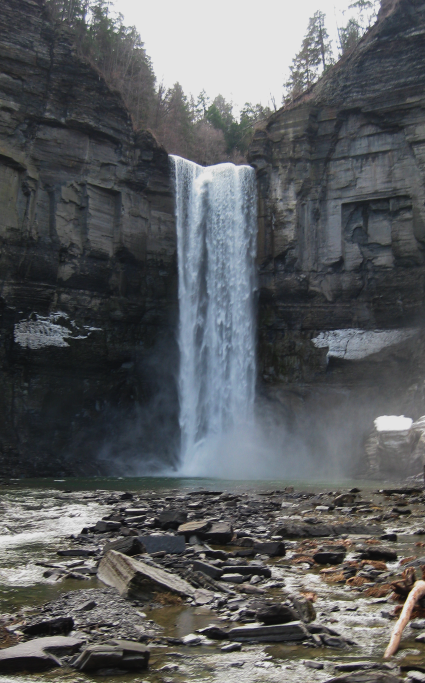 The Seneca, Cayuga, and Onondaga Indians recognized long ago the fertility of the land in the Finger Lakes and were successful at growing crops. In particular they grew the “three sister”–corn, beans, and squash–as well as fruit trees. During the American Revolutionary War, when George Washington sent John Sullivan and his army to extricate the Indians from the region, Sullivan’s soldiers commented on the type and quality of the crops the Indians were growing. Many of these soldiers came back to the region to start their own farms. Agriculture is New York State’s number one business. 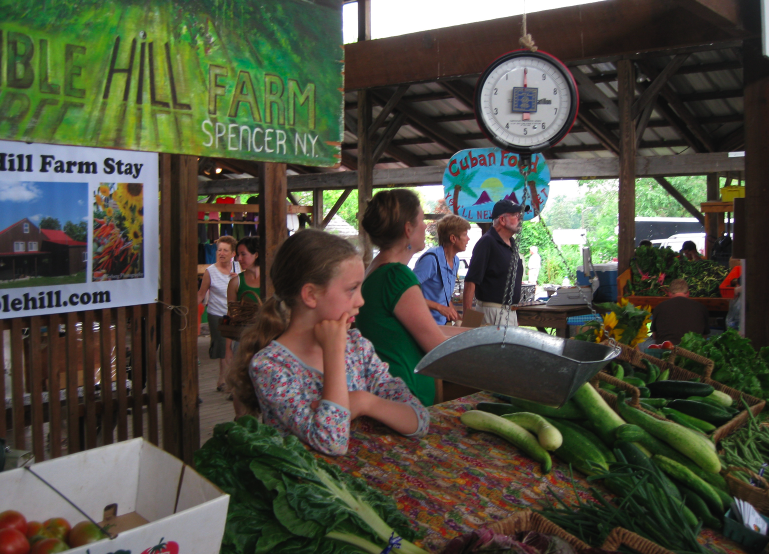 Fresh produce can be found at several farm markets across the region. Support your local growers and shop for produce and livestock grown locally. Below are links to listings of farm markets and U-pick Farms found in the Finger Lakes and Upstate New York Region, as well as a partial listing from Syracuse.com. These images were taken from the Rochester Public. Saturdays from 5 a.m. to 3 p.m. year-round. Central New York Regional Market: 2100 Park St., Syracuse, 10 a.m. to 6 p.m. Thursdays through the Thursday before Thanksgiving and 7 a.m. to 2 p.m. Saturdays; 422-8647. Open Saturdays year round. Camillus Farmers Market: Camillus Municipal Building, 4600 W. Genesee St., 9 a.m. to 3:30 p.m. Fridays, through Oct. 29; 488-1234. Clay Farmers Market: In the parking lot in front of Sears at Great Northern Mall, 10 a.m. to 2 p.m. Wednesdays, through the last week in September (weather permitting); 430-1668. Downtown Farmers Market: Parking lot at South Clinton and West Washington streets, in downtown Syracuse; 7 a.m. to 4 p.m. Tuesdays, to Oct. 12; 422-8284. Manlius Farmers Market: parking lot behind Sno-Top, off Fayette Street (Route 92) near Village Centre, 10 a.m. to 4 p.m. Wednesdays and noon to 4 p.m. Sundays, to Oct. 28; 682-7887. 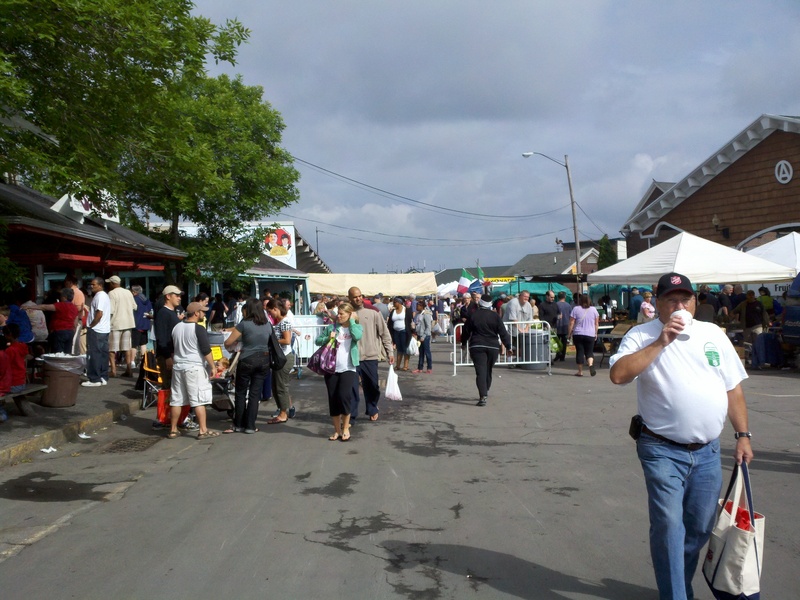 Market Days at Marcellus Park: Platt Road, 10 a.m. to 6 p.m. Wednesdays, June 9 to Sept. 15; 673-3269, ext. 2. Syracuse Eastside Neighborhood Farmers Market: Westcott Community Center, 836 Euclid Ave., 2 to 7 p.m. Wednesdays, June 9 to end of October. 751-1067. University Community Harvest Farmers Market: Q3 parking lot, on the Syracuse University quad; 11 a.m. to 3 p.m. June 11. Resumes in September and October. 443-3608. Farmers Cooperative Market of Cayuga County: South Street, Auburn, 8 a.m. to 2 p.m. Tuesdays, Thursdays and Saturdays, to Oct. 30; WIC, debit and credit cards accepted; 678-1622. Moravia Farmers Market: 130 Main St. (Route 38; in parking lot of Kinney Drugs), 10 a.m. to 4 p.m. Thursdays, to Oct. 28. 497-1632. 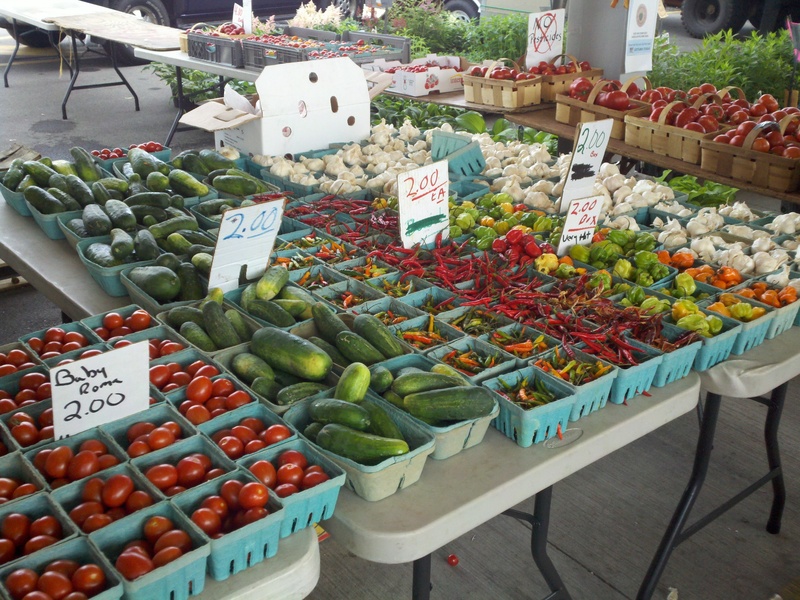 Cincinnatus Farmers Market: 2704 Lower Cincinnatus Road, 9 a.m. to noon Saturdays, through Dec. 20; 607-863-3828. Cortland Farmers Market: Main Street, between Orchard and Court streets, 8 a.m. to 2 p.m. Tuesdays and Saturdays, to Oct. 30; 607-753-8570. East End Farmers’ Market:Dexter Park, corner of Elm and Franklin streets, Cortland, 8 a.m. to 1 p.m. Saturdays, to Oct. 23; 836-6069, 849-4892. Homer Farmers Market: On the Homer Village Green, 4:30 to 7 p.m. Wednesdays to Oct. 27; 836-6069, 849-4892. Canastota Farmers Market: corner of Main and Hickory streets; 8:30 a.m. to 2 p.m. Saturdays, from the second week in July to the second week in October; 697-2566. 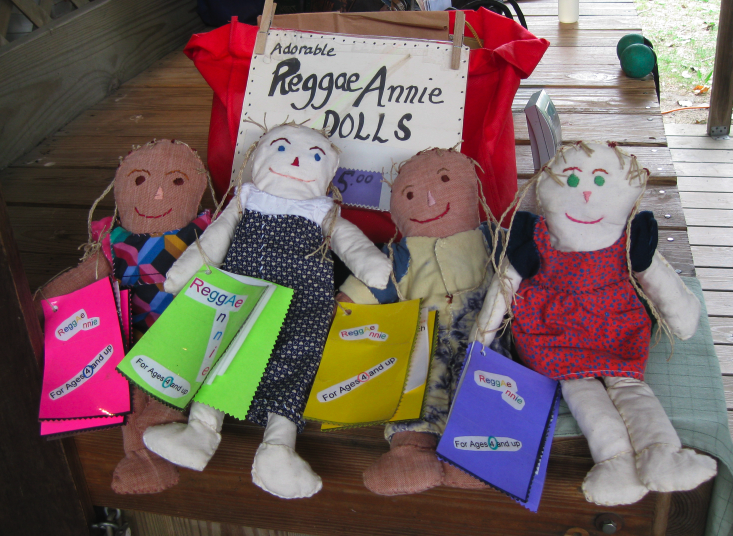 Hamilton Farmers Market: Village Green, Broad Street, 8 a.m. to 3 p.m. Saturdays, to Nov. 7; 824-1111. Oneida Farmers Market: Clinch Park, Oneida and Williams streets; 9 a.m. to 5 p.m. Thursdays, to Oct. 28; 363-4300. 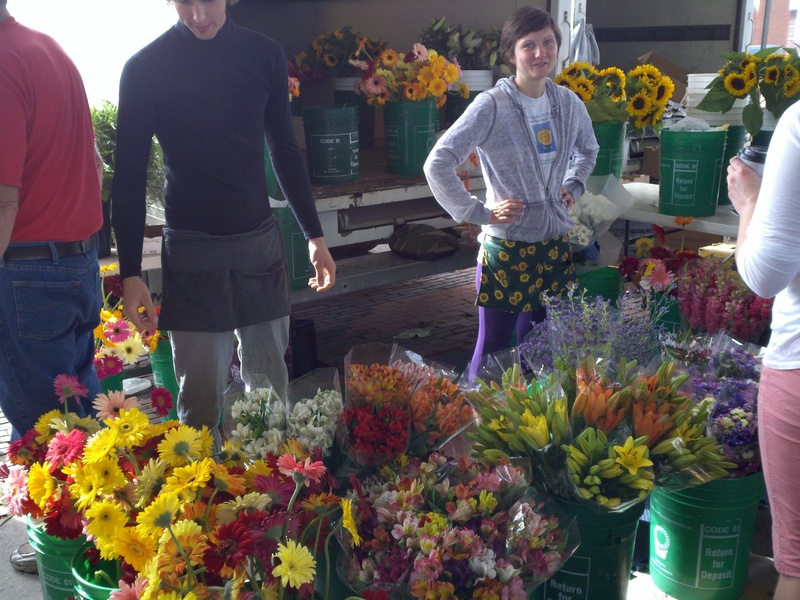 Fulton Farmers Market: Canalview parking lot (off Route 481), 8 a.m. to 1 p.m. Saturdays, to Oct. 23; 343-7681. Oswego Farmers Market: West First Street between Bridge and Oneida streets, 4 to 8 p.m. Thursdays, through Sept. 30, 343-7681. 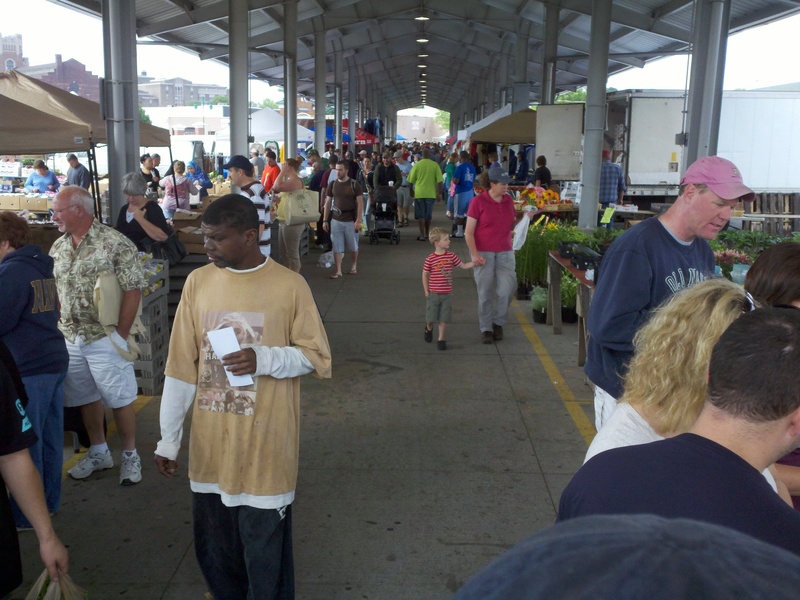 Farmers Market at Sylvan Beach: At the foot of the Erie Canal bridge, 8 a.m. to 5 p.m. Tuesdays, to Sept 7; 203-979-9872. Knowledgeable staff is on-hand to provide guided tours, throughout the day. They share intimate details about Seward’s family and the history of this beautiful home. Unfortunately, photographs are not allowed inside the house.